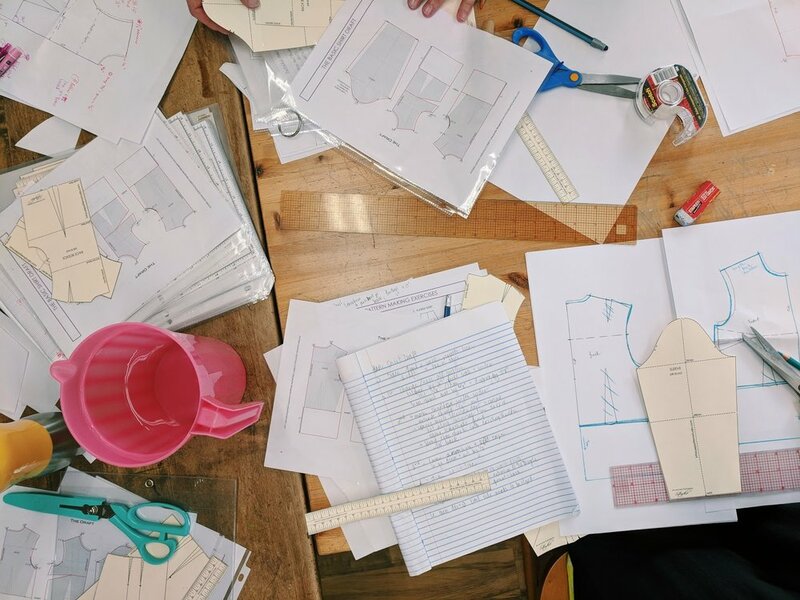 Pattern Making Essentials at The Makehouse with Alexandra Morgan or In-House Patterns. 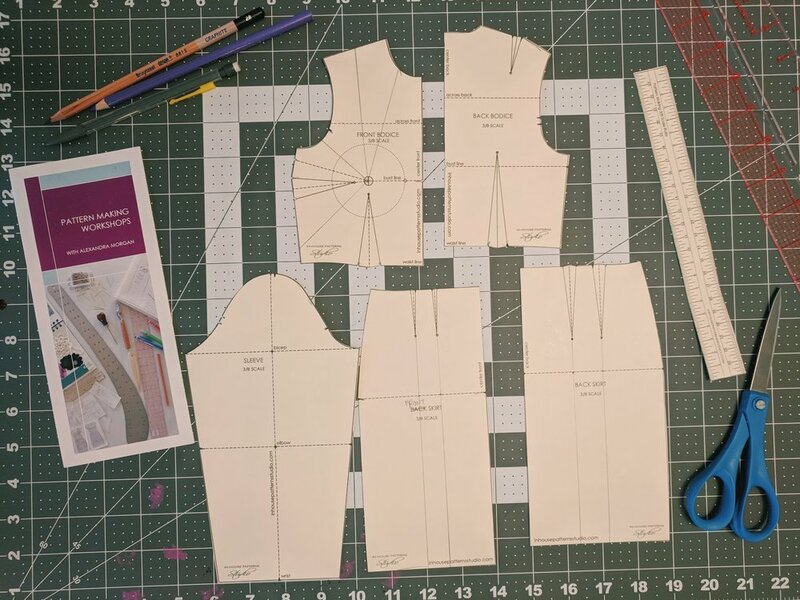 I attended a pattern making class about a year ago at The Makehouse and I was excited to further improve my skills with this new 5-week course. This class is perfect for you if you are new to sewing and want more of an understanding about how patterns work together, or if you work with sew-at-home patterns and would like advice about how to manipulate them to better fit your body. Pattern making blocks provided by In-House Patterns. Adding ease to the bodice block create a basic button up shirt draft. Selection of patterns manipulated from the bodice blocks.